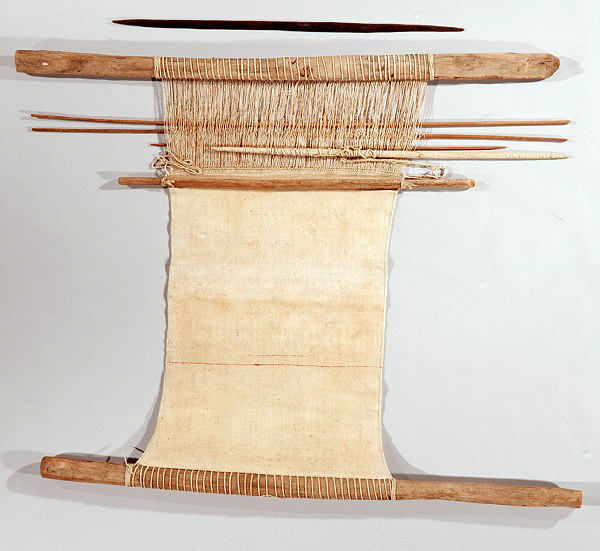 This Pima loom is similar to looms used by the Navajos and Pueblo societies, but rather than being hung vertically, it was stretched horizontally and attached to four stakes in the ground. The weaver spread deep layers of white river sand beneath his loom to protect the textile from becoming dirty as it was woven. 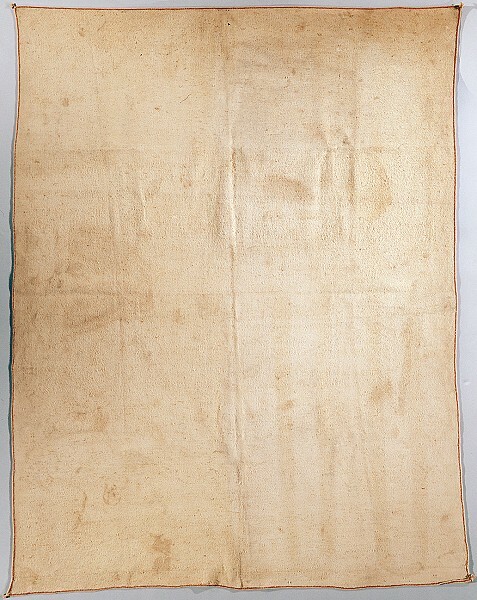 He sat on the ground next to the loom or on a portion of the textile that he had already woven, which made it easier to reach the end of the textile under construction.